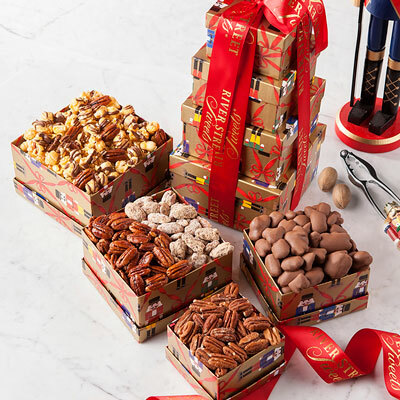 Chocolate Tower: BOX STYLE WILL VARY by season. I ordered this for my mother-in-law for Mother's Day. She loved it and said it was packaged beautifully? 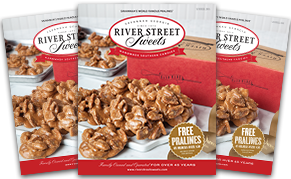 River Street Sweets make a great and unexpected gift for any uplifting occasion. 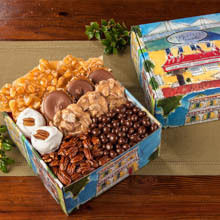 Unique southern praline candies that people love. 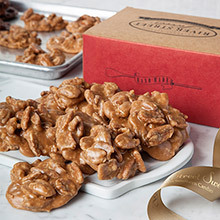 Once again River Street Sweets delivered delicious treats! 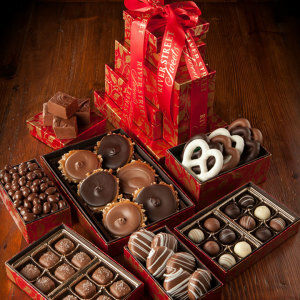 I send River Street Sweets as Christmas gifts each year and my relatives look forward to receiving yummy chocolates. 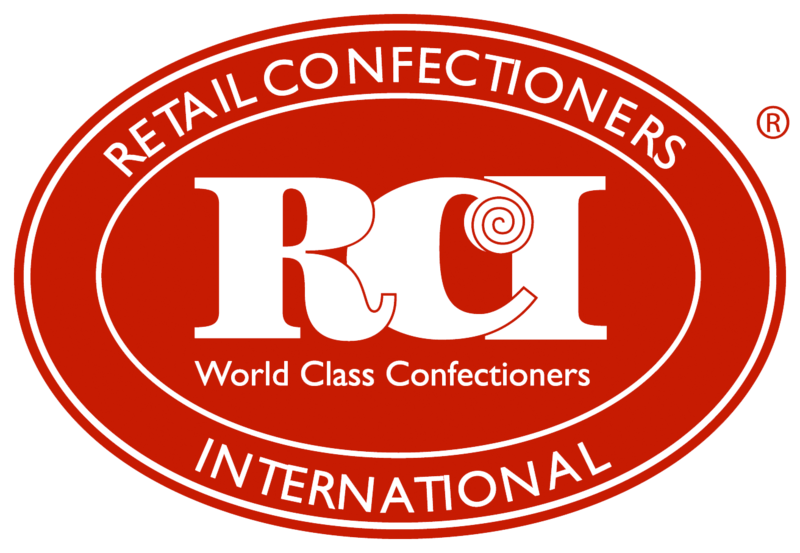 Will be using this company for many years. 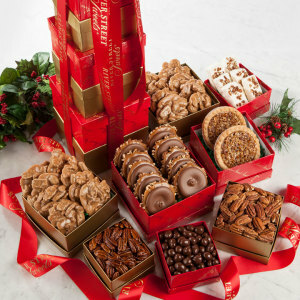 I absolutely love the online ordering system, especially for using around the holidays! The quality of goods and the quality of service are both excellent too. The items are just as good and just as fresh as if you bought them right there in the store. 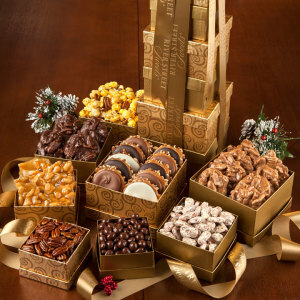 My husband an I have really enjoyed the Chocolate Tower. 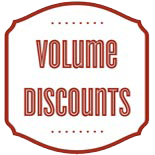 The variety of product that was offered was great. Something for everyone. 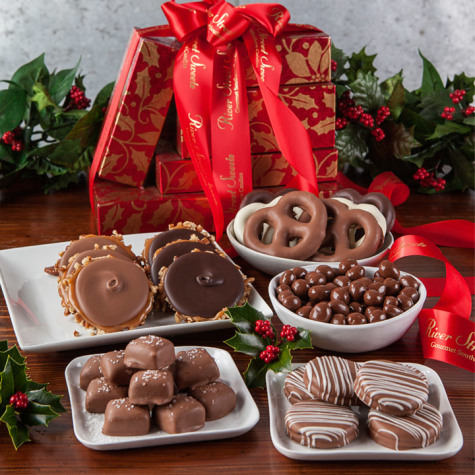 Everything was so delicious, and fresh--something for everyone--the salted caramels are decadent!